What you eat largely impacts the way your body functions. Eating poorly or well can make a big difference on both the physical and mental aspects of your body. Eating a healthy diet affects your body in a positive way. You’ll notice you feel better and seem to function better. A healthy diet can balance out your body and allows it to function in its most efficient state. Eating healthfully allows your body to function better. When you eat healthfully, you feel more awake. You have more energy to spare because your body isn’t trying to run on sugar and fat. Eating a healthy mix of grains, fruits, vegetables, dairy and protein gives your body all of the nutrients it needs. Eating fruits and vegetables is also believed to reduce your risk for certain cardiovascular diseases, stroke, type 2 diabetes and cancer. With a healthy diet, your body physically functions better. The physical benefits aren’t the only positive effects of healthy eating, there are mental benefits as well. When your body is functioning at its best, not only do you feel more awake, but you are also more focused. Your focus can then bring you to do any number of activities. The more focused you are, the more you can get done. Eating healthfully can also boost you mood and lower your stress levels. Your mental health is much more stimulated with your body fulfilled and running smoothly. Eating healthfully and finishing your vegetables shouldn’t just be something a mom tells her children, it’s a lesson everyone can practice. As an adult, it’s important to get all of the vitamins and nutrients your body craves, even if you are done growing. 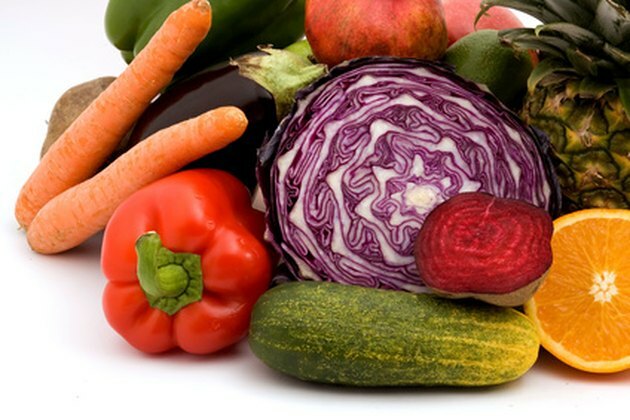 The USDA recommends adults should get two to three servings of fruits and vegetables a day. Eating healthfully as an adult is increasingly important as your body begins to age. Your body craves healthy food to continue functioning properly and staying in a youthful condition. For children, the eating habits they develop in childhood will often stick with them into adulthood. It is important to teach children about healthy eating so they can become healthy adults. A child who eats healthfully is more awake and alert, allowing him to succeed in the classroom as well. Children with poor meals also are more likely to develop weight problems. Children who eat healthfully can avoid these weight problems and have the opportunity to become more active. The same physical and mental benefits are present for both kids and adults when it comes to healthy eating.